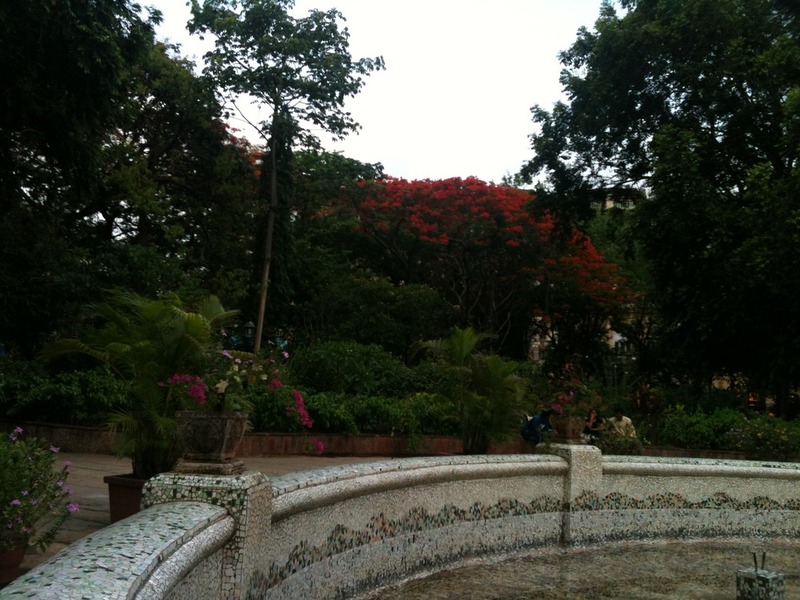 This is one of the oldest gardens in city of Mumbai. Construction of the garden started in 1869 and was completed in 1872. Then, it was a unique design to plan an open space with buildings all around it. 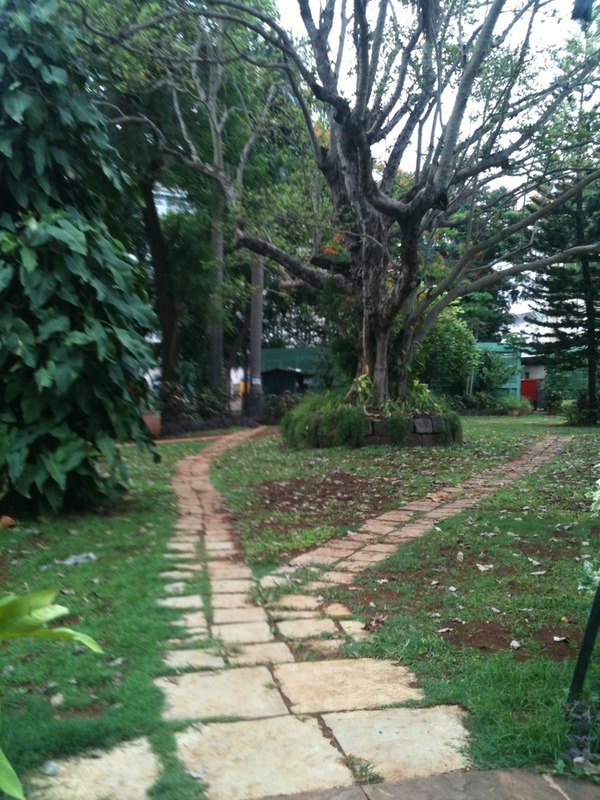 Trees were planted at the periphery with wide walkways for public use. 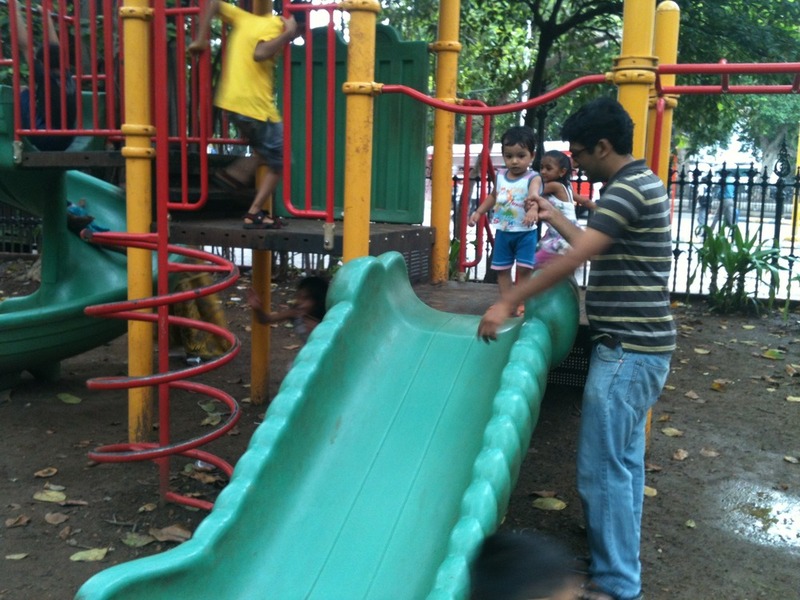 This place was originally known as Elphinstone Circle, named after the Governor Lord John Elphinstone. A huge ornamental fountain was placed in the center of the garden, which later was changed to an Art Deco iron pipes design as of today. 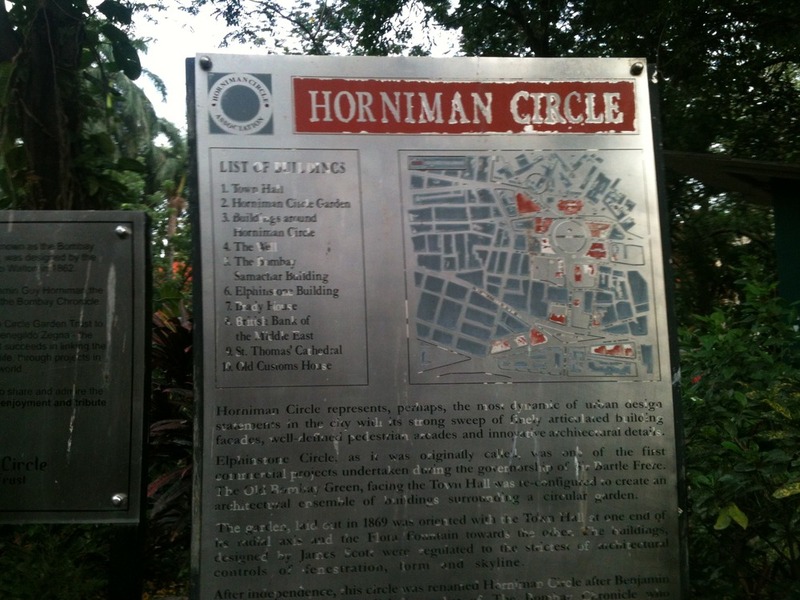 After the independence, it came to be known as Horniman Circle to honor Benjamin Horniman, editor of Bombay Chronicle newspaper, who supported the freedom movement. 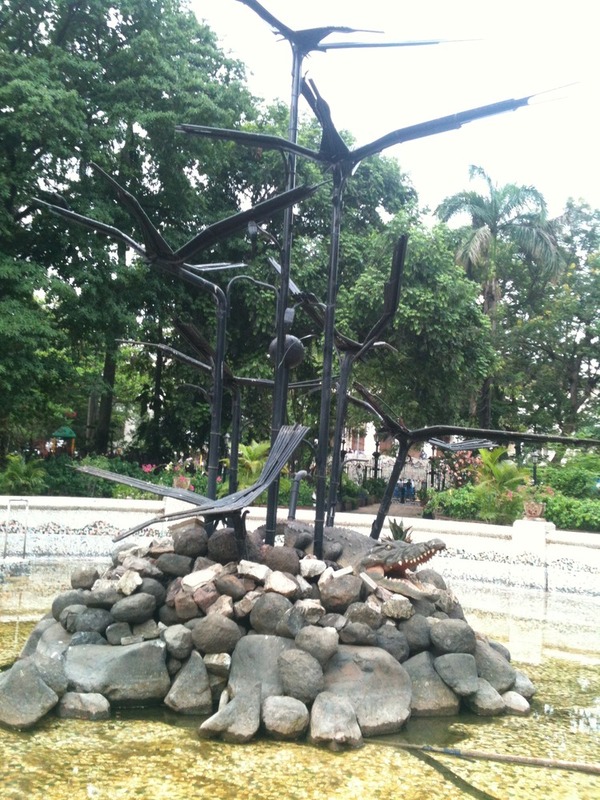 During the pre-independence times, this place became the favorite meeting place of the elites and cultural events were held here. 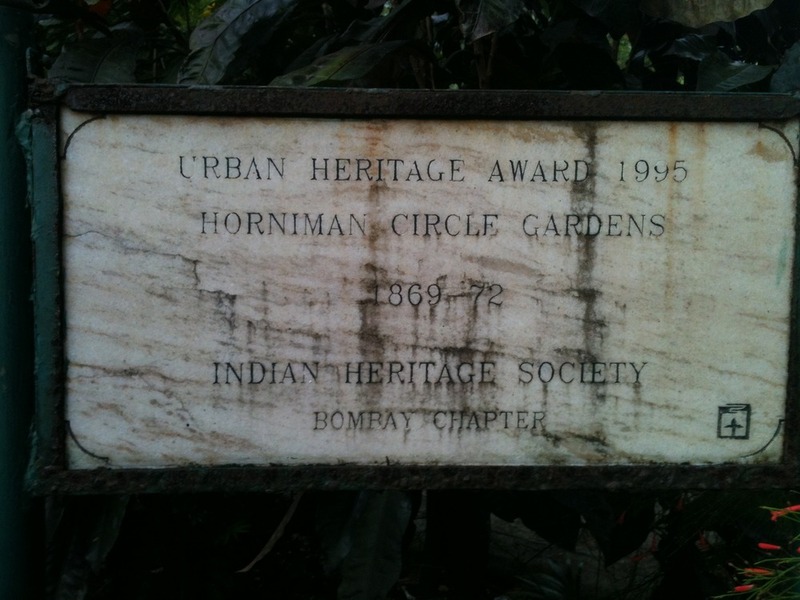 Information courtesy: Wikipedia and a plaque at the garden. 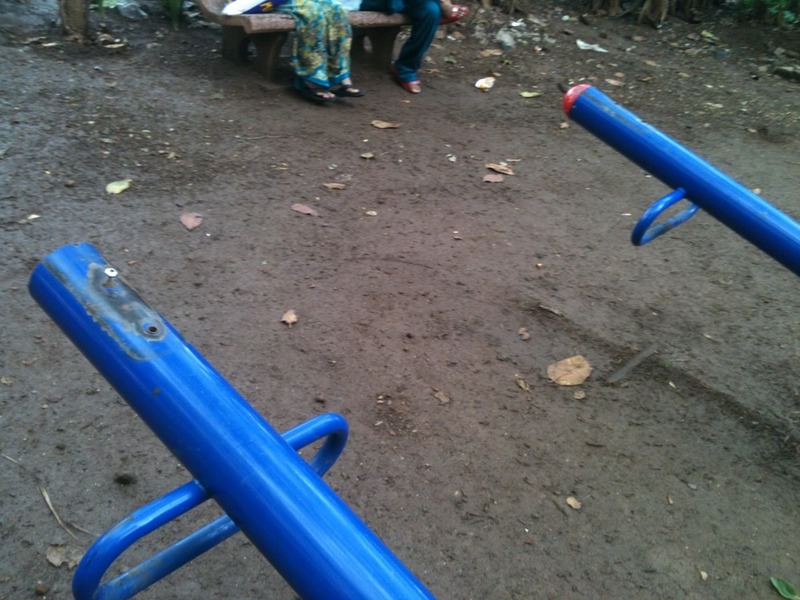 This board at the park narrates its story. Surrounding this park stands heritage office buildings like The Asiatic Library, Reserve Bank of India and The Times of India. 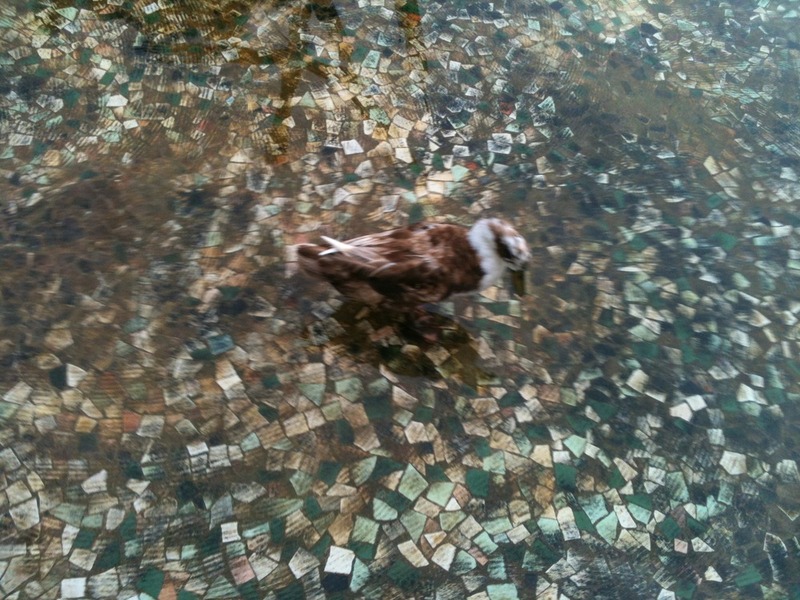 This fountain is the signature symbol of this garden. 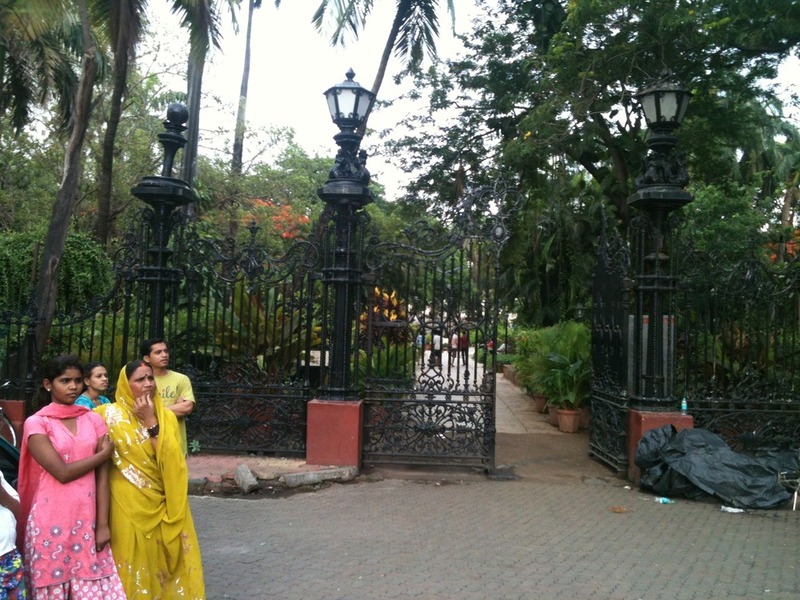 The archaic entrance gates from the Raj era. Today this is just like any other garden in the city. 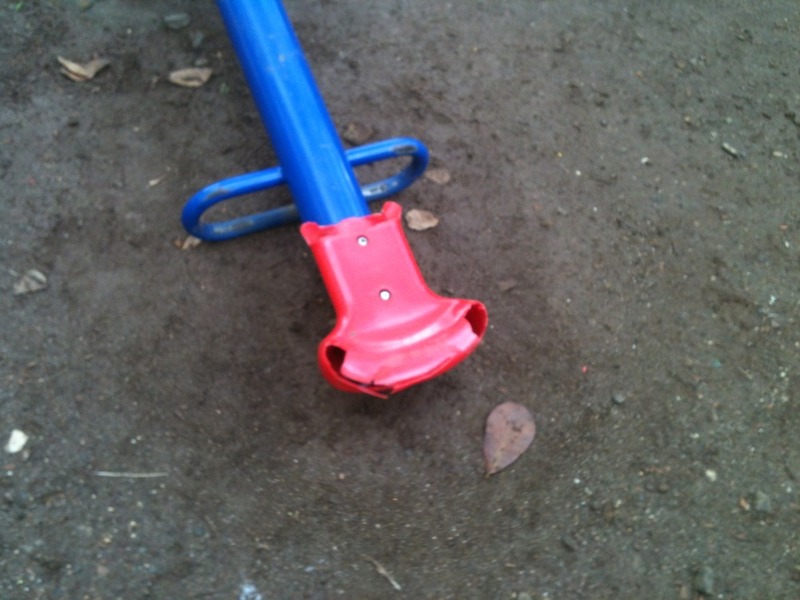 Lost, battered and beaten! 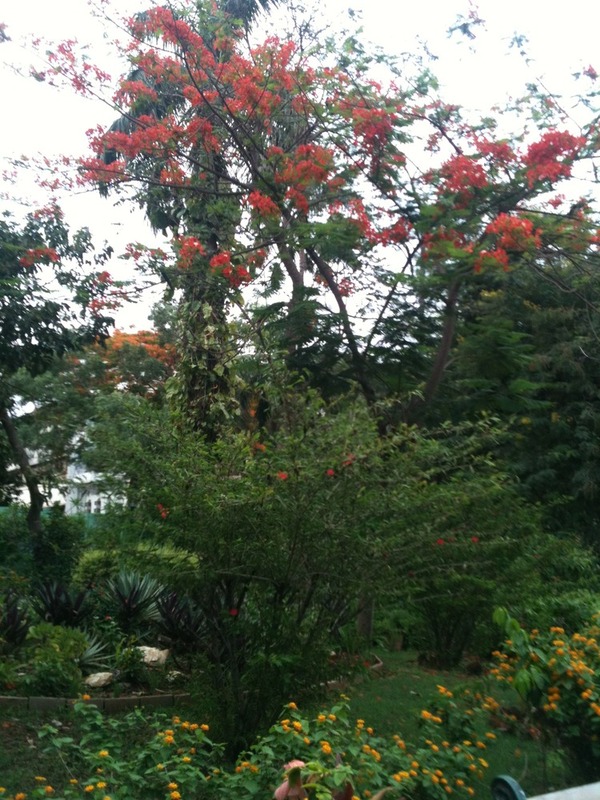 Though the garden is quite green. The credit for which don’t go to the BMC because it is not something that they had planted, but they did the least to not screw it up. 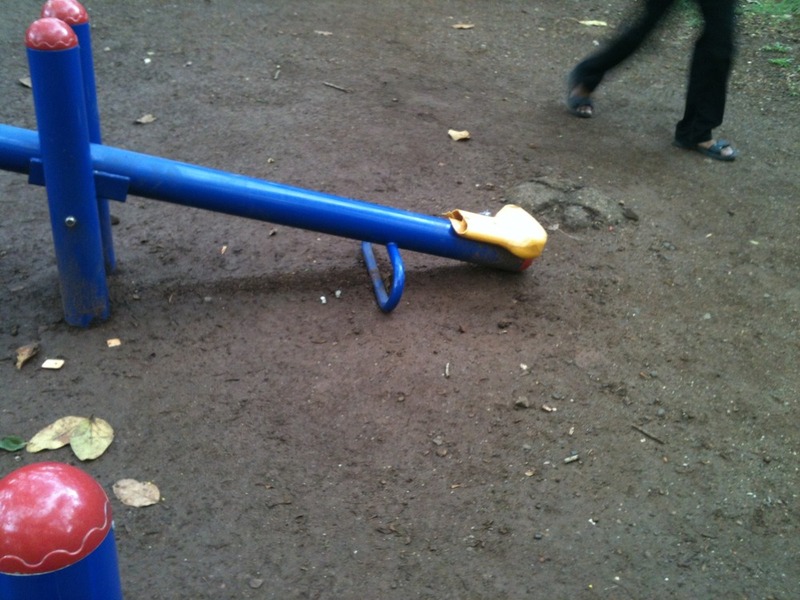 I don’t understand what it is about see-saws particularly. They are never seatable. If they can’t repair it, they can remove it atleast, so that it won’t hurt anyone. 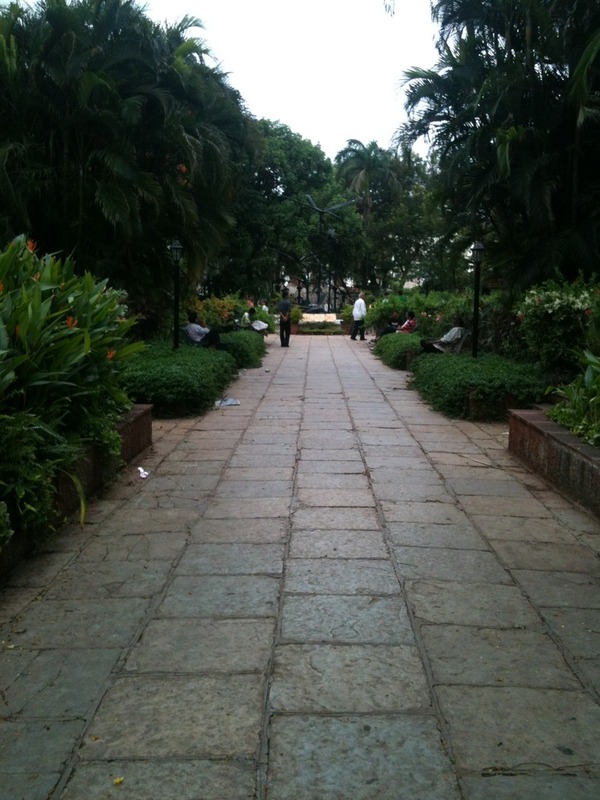 This garden often is the venue of the annual Sufi concert called Ruhaniyaat. There are several other cultural programs held here throughout the year. 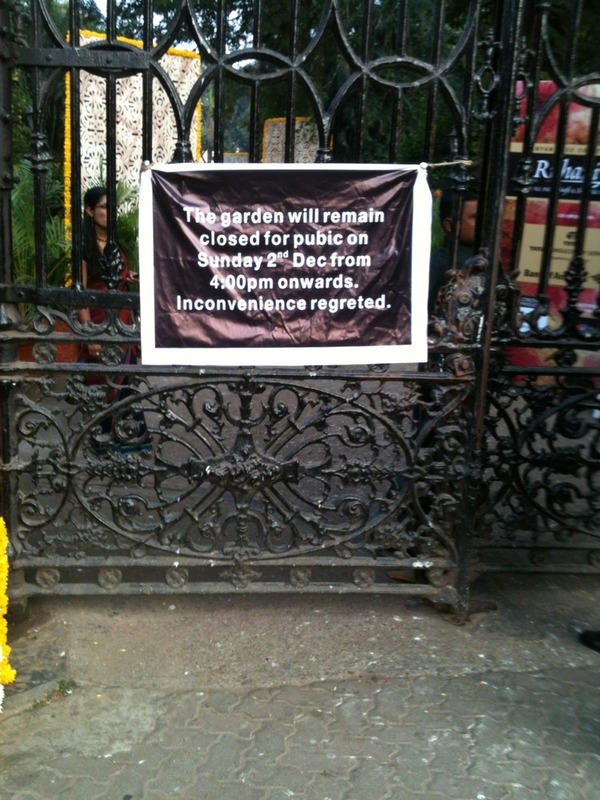 Most of the times its open for public, but sometimes we have seen the gates closed, like the one below. I wonder if its legally correct to use a public property on a public holiday for private purposes and not allow the aam aadmi inside? This calls for a PIL, what say?